It’s the best feeling once you’ve Spring cleaned your home, you almost feel like a new person! Getting rid of all of that Winter stagnation, getting rid of the clutter & changing your furniture to lighter & brighter pieces. We’ve compiled a list below of the best tips to Spring Clean your home plus our recommendations on Spring décor to have your home looking & feeling clean & fresh! Out with the old & in with the new! Whether it’s clothing, old décor, anything that does not bring you joy in your home, it’s time to go. Have you read the The Life-Changing Magic of Tidying Up by Marie Kondo? It’s on our Spring reading list. It may sound woo-woo but it’s such a good feeling opening up all the doors & windows and giving your home a good sage. Let’s shift that stagnant energy so your home is bringing in the good vibes. It’s time to switch those rugs over from the heavy winter ones to the light bright Spring/Summer ones. 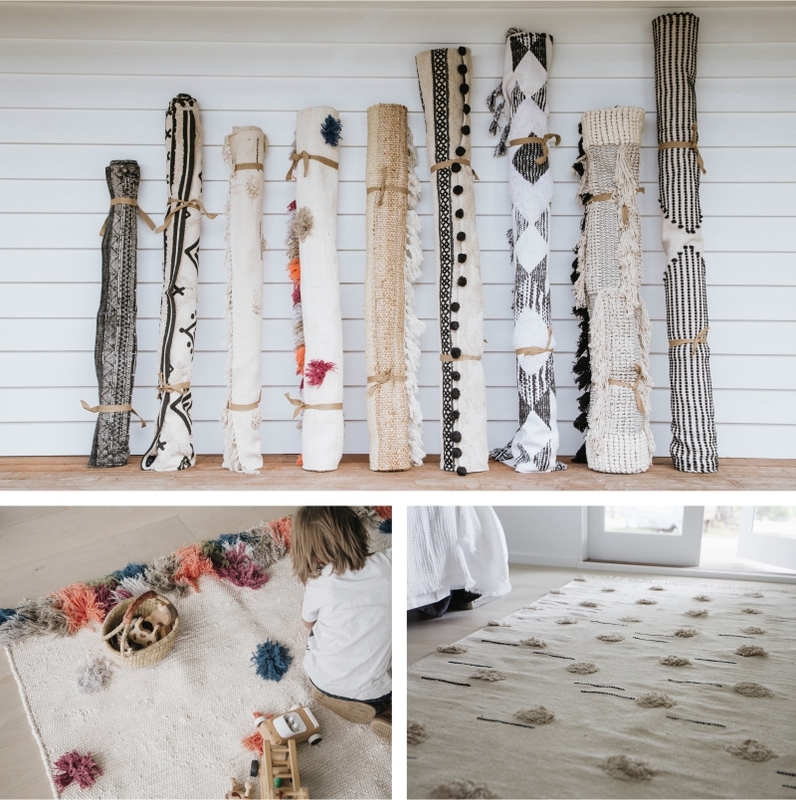 We love using the Freida Rug, Bowie Rug or Willow Rug during the warmer months to keep the home light, bright and natural with little bits of colour. Bringing colour into the home in spring is a great way to keep your home feeling happy & light. 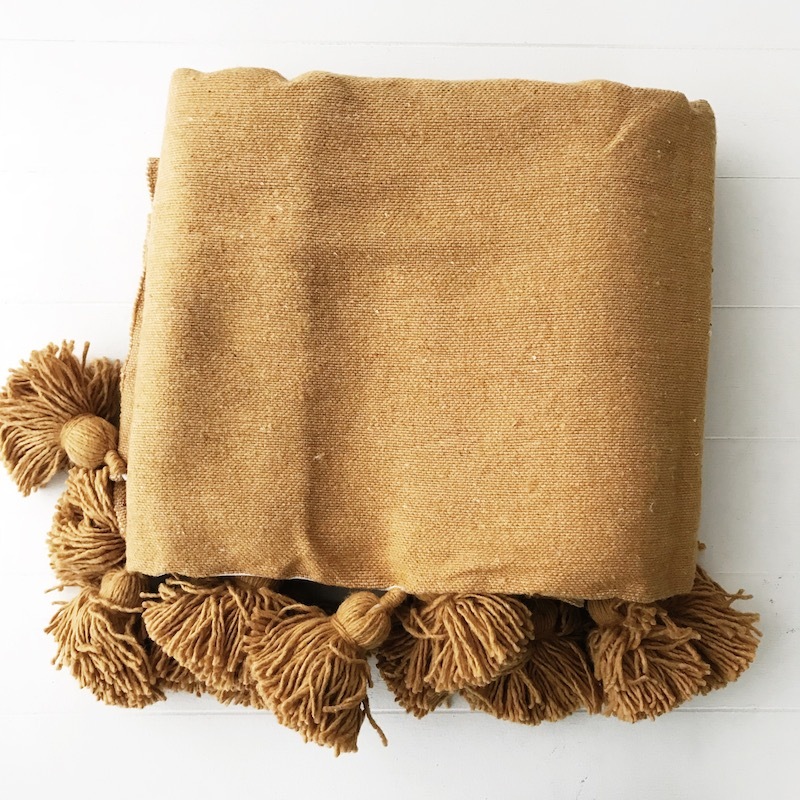 Our new Harper Throws are handmade in Morocco are a great, lightweight alternative that come in two beautiful natural tones perfect for Spring. This could be a whole other blog post in itself but one of the things we love using most at home are essential oils! They are the perfect natural alternative for use with cleaning, they have an array of health benefits & can leave your home feeling fresh as a daisy. These are our top picks for essential oils around the home for Spring. Keep in mind, the oils we are mentioning below are from Doterra so some blends are specific to this company. Lemon & Lime – Perfect for cleaning, whenever I use lemon & lime throughout the home it leaves it smelling so clean. You can make your own cleaning products from scratch or just put a few drops of each into your pre-made cleaning products to give them a natural citrus smell. Purify & Onguard – Both of these oil blends are specific to Doterra Oils but I could not recommend them enough! Not only is On guard antibacterial, it smells like Christmas! Pop it in a diffuser and it will also kill air born pathogens. This is the holy grail for cleaning the home and keeping it bacteria free. Purify is another great one to keep that clean and fresh smell in the home, it kills other odours that may be lingering about. Wild Orange, Citrus blend – Both these blends are uplifting and invigorating. Rub some into your palms and inhale and you’ll find you will be motivated to keep cleaning for hours! These happy oils give your home the most amazing smell. They are perfect for that afternoon slump to wake you back up and get you motivated. 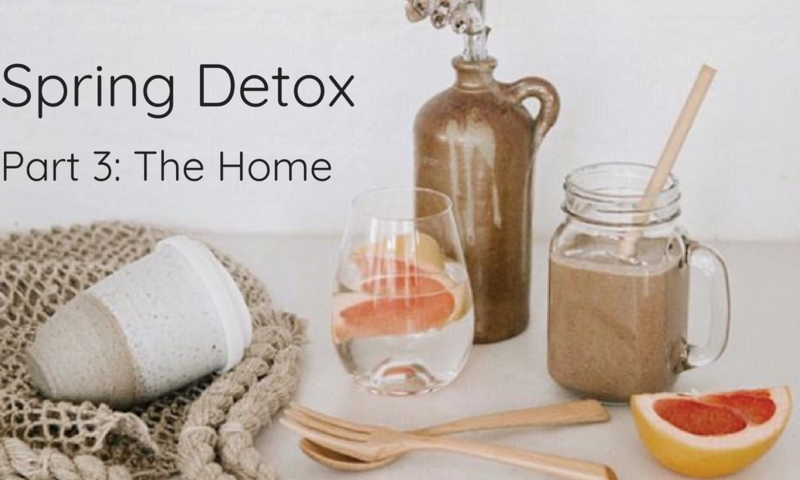 We hope these ideas give you some inspiration to start detoxing your body & home for Spring! For more Spring ideas you can check out our next blog post on our favourite Spring recipes!